I'm trying to decide what to share. I'm working on making my bouquet and plan to do a how-to... but figure that's more fun when I have a finished, not partially, product to show you. I could talk about our money problems, but that's a touchy, complicated and frankly painful subject. Which doesn't make it off limits, since I try to keep this blog authentic. But I'll give it a "not right now". Anyway, I opened up about that a little on Monday. 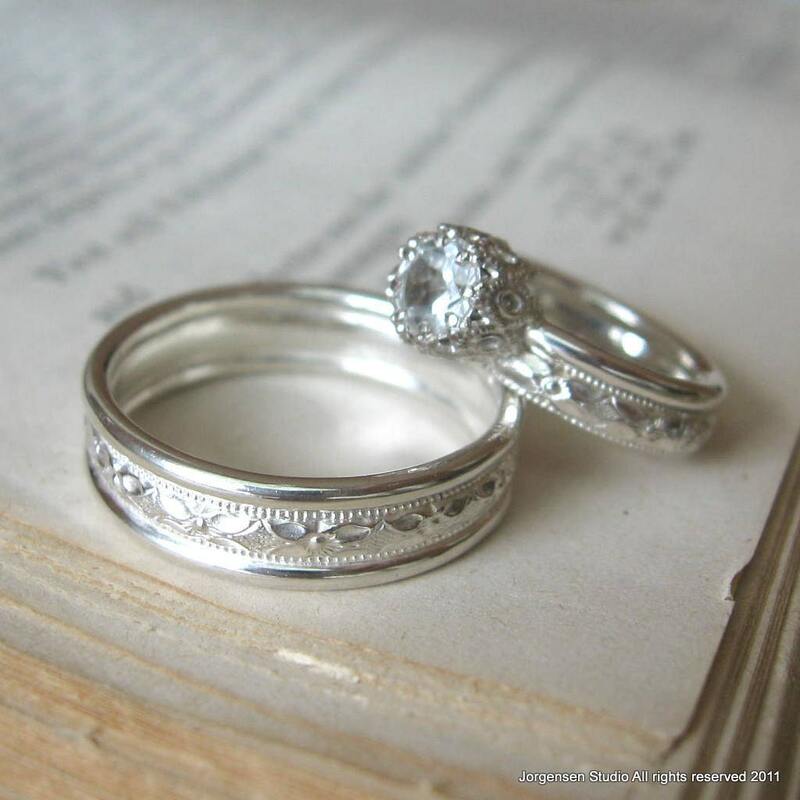 ignore the engagement ring there, but aren't they lovely? Actually, this weekend we may make a purchase... our wedding rings! The rings we've picked out cost half of what my dress does, so we may be able to manage it.